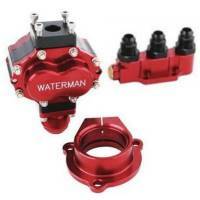 Waterman Racing Components is the premier supplier of racing fuel system components. Pit Stop USA is the Online Motorsports Superstore! We feature Sprint Car Fuel Pumps at low everyday prices! 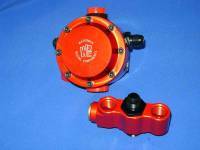 Check out the Recently Listed Fuel Pump Spacers. Check out the Recently Listed Shut Off Valves. Pit Stop USA is The Online Motorsports Superstore! 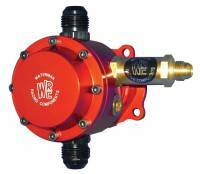 We feature Shut-Off Valves at low everyday prices. Pit Stop USA is The Online Motorsports Superstore! We feature Waterman O-Ring Jets at low everyday prices. Waterman O-ringed Jet - 60"
Waterman O-ringed Jet - 62"
Waterman O-ringed Jet - 64"
Waterman O-ringed Jet - 66"
Waterman O-ringed Jet - 68"
Waterman O-ringed Jet - 70"
Waterman O-ringed Jet - 72"
Waterman O-ringed Jet - 74"
Waterman O-ringed Jet - 76"
Waterman O-ringed Jet - 82"
Waterman O-ringed Jet - 84"
Waterman O-ringed Jet - 86"